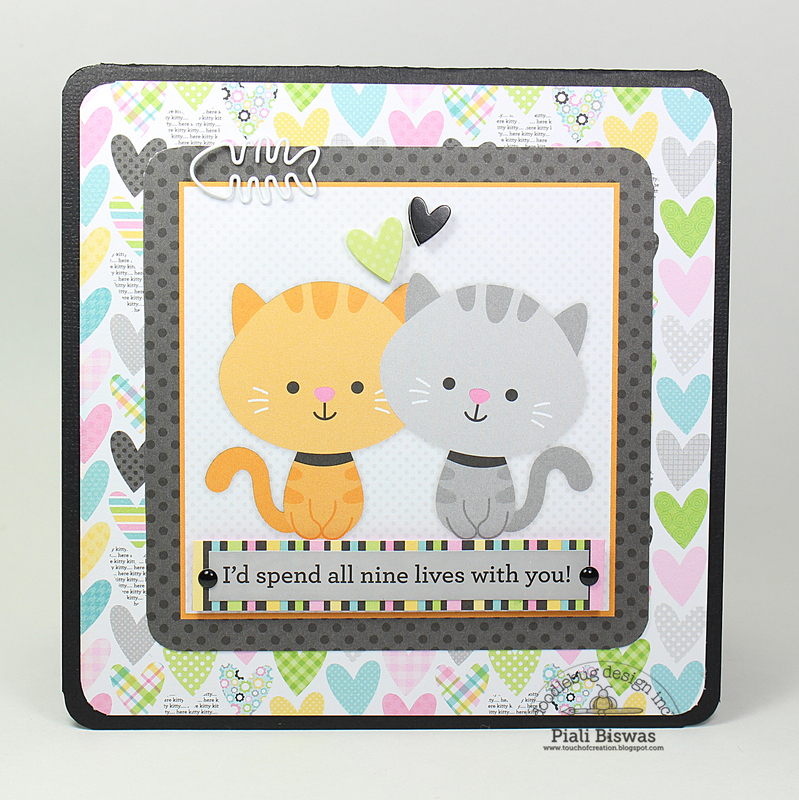 Today I'm sharing some fun projects using the new Kitten Smitten collection over at Doodlebug Designs blog. I absolutely love the amazing colors of this collection! 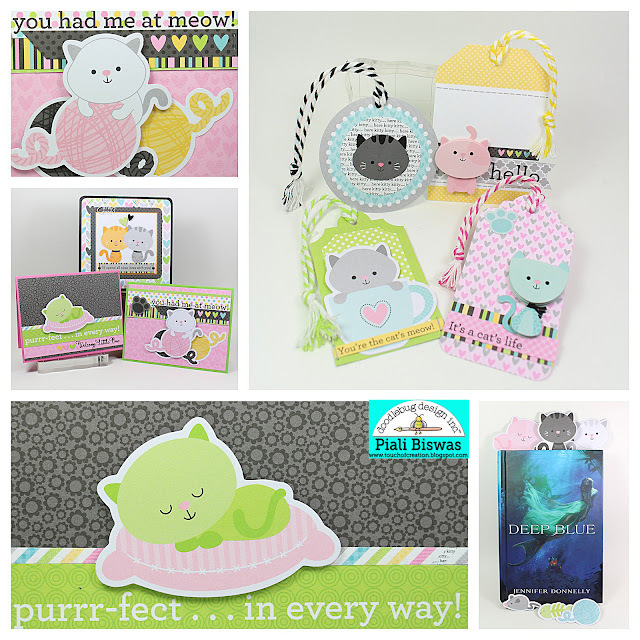 Super cute Kitty themed collection. You don't have to be a cat lover or a cat owner to use this collection. How cute is this kitty!?! This card can be for a friend or someone special in your life! 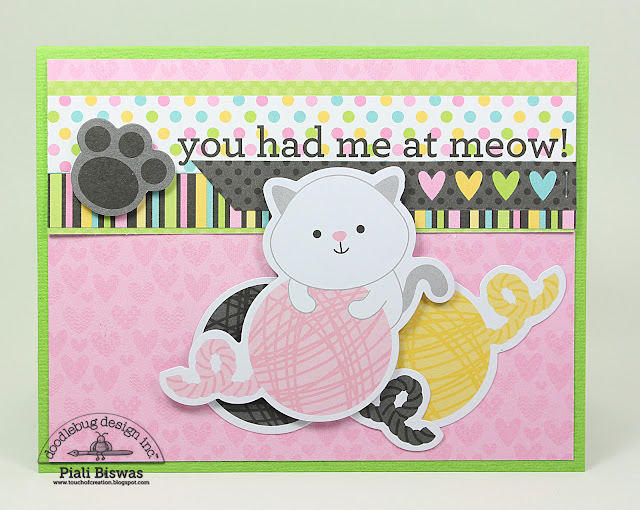 I love that this collection is so cute and versatile, it can be used lots different occasions. A card for a new baby! 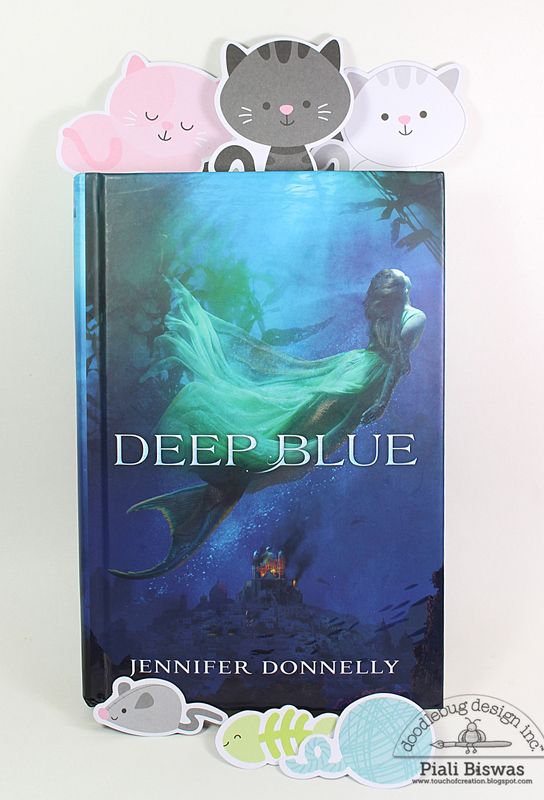 Bookmarks are very important thing for Summer reading. I created super quick and easy ribbon bookmarks using the Odds&Ends pieces. 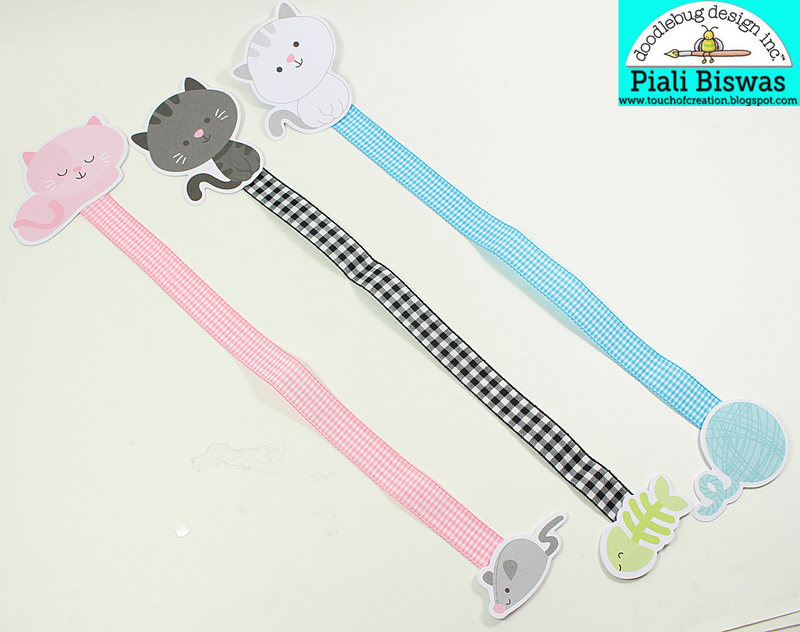 Simply hot glued the diecut pieces to the ends of the ribbons. I also created few tags...they always come handy! New collections come with tags, I embellished them with Odds & Ends , Doodle Pops and stickers. Tied some Chunky Twine to finish.